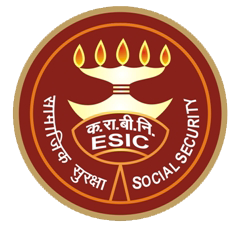 The Employees State Insurance Corporation (ESIC) recruitment 2016 for the post of Stenographer, Upper Division Clerk (UDC) & Multi Tasking Staff (MTS) is moving to the next stage with the announcement of exam dates.The online exams are to be held from March 18 - 26, 2016 across India at various centres.So we take a look at the ESIC UDC, MTS & Steno Exam Pattern & Cutoffs. The first thing that every candidate must ensure is their exam date, shift timing & address.So make sure you download the exam call letter & if you have mistakes in it, do get it corrected on Mar 17th itself at their facilitation centres. As part of this ESIC 2016 recruitment, 3 positions are to be filled & hence there is a separate selection process for each post. Total questions: 200 | Total Marks: 200 | Negative mark: 0.25 for each wrong answer. Based on the number of vacancies announced for a particular region, candidates who have secured above the qualifying marks & rank at the top will be directly selected. Candidates who qualify in Part I with the above marks shall be shortlisted for Part II, to be conducted on a different date. The duration of skill test is 30 minutes & it carries a total of 50 marks.The content to type would be provided in the form a question paper with instructions in it. The duration of test is 2 hours & it will be for 200 marks.While each correct answer fetches you 1 mark, every wrong answer will be awarded negative mark of 0.25. Based on the overall cutoff in Part I (written test), candidates shall be shortlisted for Part II & III depending on the number of vacancies in the ratio of 1:10. PART II: Stenography test is only for qualifying purpose.Candidates have to take notes with a speed of 80 words/ minute in English or Hindi by listening to a speech or recording for 10 minutes.They will need to type the same on a computer within one hour. There is no cutoff score for this test and you are only required to pass in it. The duration of skill test is 30 minutes & it carries a total of 50 marks.Insitructions & content to type will be provided in the question paper at the venue. ESIC has already prescribed the qualifying marks for each post.So it can be called the minimum cutoffs you need to score inorder to get shortlisted. For MTS: 40% for general & 35% for OBC/SC/ST/PWD which means the lowest cutoff will be 80 for GEN & 70 for others. Only those who score above these marks in the written test shall be considered for final selection. For UDC: There are two stages in Upper Division Clerk recruitment. For Steno: 3 stage recruitment process for Stenographers. A ratio of 1:10 will be followed to shortlist candidates for Part II & III. While these are the minimum cutoff scores for all participants, highest cutoffs will depend on the region you applied, number of vacancies in that region in each category & number of qualified candidates.